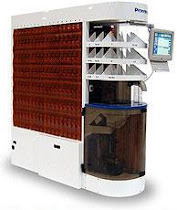 "Visual Pharmacy Plus": DMERx™ "Durable Medical Equipment"
Our real-time edits enforce compliance to CMS (formerly HCFA) policy significantly reducing costly rejects. The Medicare claims are thoroughly and effectively processed, with adjudication taking place within a secure and efficient environment. Assignments are accepted by pharmacy or patient and payment is remitted to pharmacy, corporate office, or patient. Process your Medicare DME claims point-of-sale using the pharmacy system just like any other on-line third party. 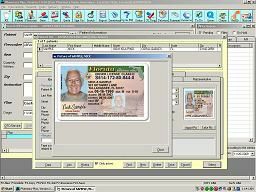 The Visual Pharmacy Plus™ software provides pharmacies a convenient and thorough method for billing Medicare claims point-of-fill through the Visual Pharmacy Plus™ software eliminating the need for additional costly software. The Medicare claims are thoroughly and effectively processed. Assignment accepted by pharmacy or patient and payment remitted to pharmacy, corporate office, or patient. Coordination of benefits handled whether Medicare is the primary or secondary insurer. Other insurance amounts automatically reported to participating secondary insurer. Doctor NPI, DEA, UPIN number and demographic verification. Patient ID and demographic verification. Product coverage and automatic modifier determination. MAC price, minimum/maximum quantity verification. Diagnosis code to product verification. Coordination of Benefits, and patient/pharmacy assignment. Refill too soon and patient annual deductible verification. Automatic quantity conversions from pharmacy to CMS standards. Non-covered items may be submitted when required by state medicaid. Date Spanning compliance enforced on diabetic and enteral supplies. Backend Research & Resubmit service available to all providers. After your claim has passed the extensive edit checks, a response is instantly returned to your system.